Since Pennsylvania first proposed changing the way it delivers Medicaid-funded long-term services to older adults and people with physical disabilities, we here at the Pennsylvania Health Access Network (PHAN) and our partners have been working hard to make sure the interests of consumers are represented, that their voices are heard, and their concerns are taken seriously. We have held numerous community education events to listen, to learn and to help people understand what changes were on the horizon under Pennsylvania’s new Medicaid managed care program, Community HealthChoices (CHC). CHC is for adults age 21 and older who are receiving long-term services and supports (LTSS) at home or who are receiving skilled care in a nursing home paid for by Medicaid. The program also covers older adults and people with disabilities who are covered by both Medicare and Medicaid, but do not yet need LTSS. What we’ve learned from consumers we’ve met is that the challenges people like Joann Hairston face are as complex and difficult to navigate as the systems policymakers have pieced together over the years to support them. Joann is 63 years old and takes care of her grandson, Armani, who is in the 9th grade and on the Autism spectrum. They get by on less than $800 a month, nearly all of which goes to pay for utilities and food. 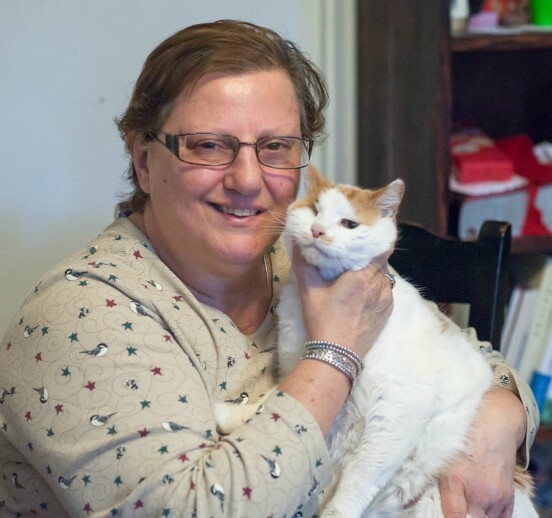 Helping Joann manage her Diabetes, COPD and depression, and keeping her safe and independent at home are what the state is hoping Community HealthChoices will do. Under CHC, managed care organizations (MCOs) are responsible for meeting the health and long-term care needs of older adults and people with physical disabilities – hopefully in a quicker and more holistic way than the previous fee-for-service delivery system allowed. It’s the MCOs’ job to give 420,000 Pennsylvanians like Joann the resources and support they need to live healthier, more independent lives, and to ensure that the home and community-based services people receive are safe and of high quality – whether it’s personal care from a home health agency, home-delivered meals, transportation, or equipment like grab bars and stair glides. But will this promise of coordinated care and better, quicker access to services become a reality? As is the case in other states that have transitioned to managed care delivery systems for low-income older adults and people who need long-term services, what will make the difference and determine whether the promise of better care is achieved in our state will be active, sustained, and focused advocacy from consumers, caregivers and the broader community. For people to be empowered to take control of their health and well-being, they need to understand not just what their plan choices are, but WHY this change is happening, and what it means for them. No one should feel, as Valerie Cotter, a CHC participant from Pittsburgh acutely observed, “like you have to make a decision in the dark” because the information you need just isn’t available or relatable. [Listen to Valerie’s story here.] That’s why we’ve worked to develop messages, materials and trainings that set a foundation for understanding the changes Community HealthChoices makes – getting back to the basics of how Medicare and Medicaid work together, who covers what, and how people can qualify for LTSS. We’ve encouraged the state to follow suit, offering ourselves and our senior leaders as a resource in the development of consumer-friendly education and outreach strategies. For people to be better served by this new system, they need to understand what their rights are, what “managed care is supposed to manage,” and where to turn if they have problems getting services. That’s why we’ve pushed the state to develop a robust beneficiary support system that does more than simply assist consumers who reach out for help filing a complaint or grievance. (Download our one-pager here). In the coming months, we’ll be doing a lot of listening — partnering with the Jewish Healthcare Foundation to hold listening sessions for consumers enrolled in Community HealthChoices, giving them a forum to talk directly with state officials about what life has been like in this new system. We’ve also developed a survey to capture the consumer experience in CHC, and will be working with partners in the disability rights community to distribute it widely, both before and after the continuity-of-care period ends. 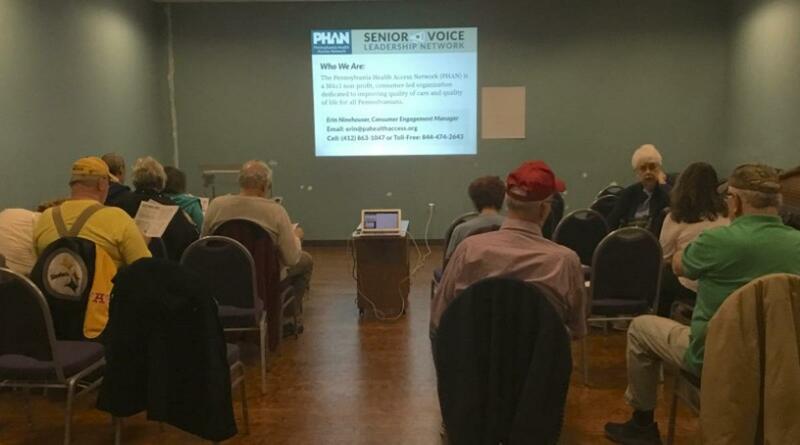 In the coming weeks, PHAN will be releasing a full set of recommendations for improving Community HealthChoices, based on what we’ve learned from our grassroots work with seniors and people with disabilities here in Western PA. Learn more about CHC at:http://pahealthaccess.org/chc or by contacting PHAN’s Consumer Engagement Manager, Erin Ninehouser, at: 412-863-1047 or erin@pahealthaccess.org.